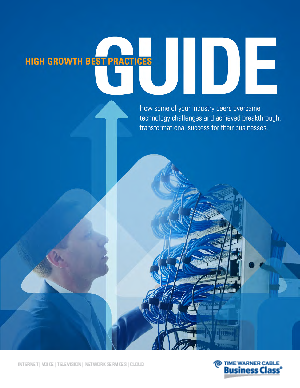 What does high growth mean to your business? Ask your business peers that question and you’ll likely get many different answers. But chances are those answers will have critical elements and key priorities in common: the need for speed and efficiency, a future-proof technology strategy and high-performance network connectivity, just to name a few. And, of course, reliability, scalability and security will come up time and again as indispensable aspects of any high-growth solution. This guide gives you an overview of the steps you need to build a foundation for sustainable growth—the kinds of investments, drivers and differentiators that are involved. It does so through the words and experiences of fellow decision makers who’ve overcome daunting technology challenges, and in doing so realized their greatest achievements. Use the guide to get ready for great achievements of your own.